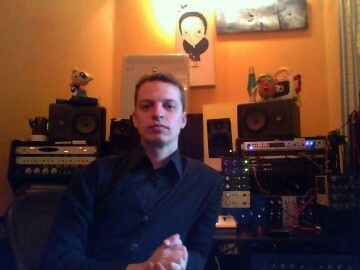 Shane O’Connor is a producer, mixer, recording engineer. He has worked with artists such as Sam Smith, American Authors, Tab The Band, Greg Allman, Avril Lavine, and Lovedrug. Residing in Hollywood California, Shane is known for recording bands in a live-in-studio format with an emphasis on organic and emotional performances. O’Connor’s career in music production started in a punk rock fashion, recording bands in basements and attic spaces with whatever equipment was available. Soon, he was working as an assistant at Q Division Recording Studio in Somerville Massachusetts. Here Shane learned from seasoned veterans about recording techniques of decades past. This background, in combination with a degree in Music Production and Engineering from Berklee College Of Music put Shane in a unique niche as a recording engineer and producer. Today, along with engineering, mixing and producing records, Shane holds seminars on recording as well as private lessons in music production. He is a staff mix engineer at Sound Design Corporation, mixing with Paul Sandweiss (mixer for the Grammy’s, Superbowl Halftime show, The Emmy’s). Shane has been featured and written for Northeast Performer, The Deli Magazine, and various blogs.